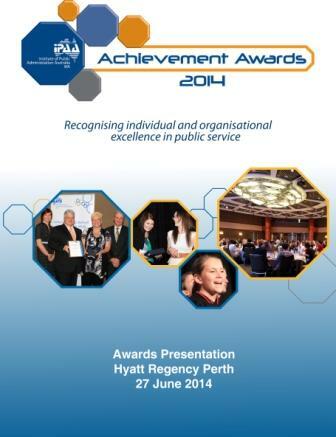 Download the 2014 Achievement Awards Shortlisted Nominees here. 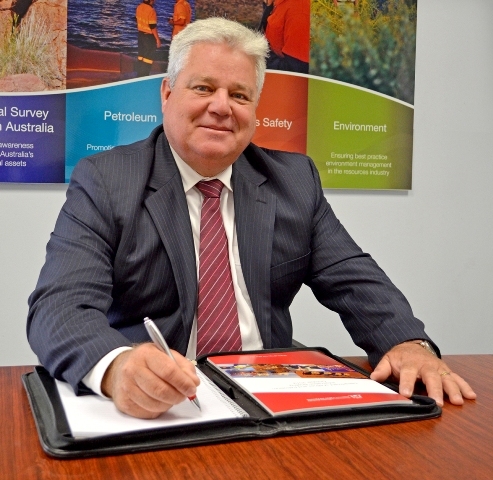 Richard Sellers was appointed as the Director General of Western Australia’s Department of Mines and Petroleum (DMP) in June 2009. He oversees the Department, which acts as Western Australia’s lead agency in attracting private investment in resources exploration and development. As a leader, Mr Sellers is a visionary who makes considered and complex decisions. His insistence on consultation and transparency in decision making, together with his willingness to implement innovative business methods have been key factors of his stewardship of DMP, during the busiest growth period of Western Australia’s resources industry. Mr Sellers has made an outstanding contribution to the public sector with a positive legacy for the future. His vision and projects undertaken underpin DMP as an organisation of best practice. He has achieved clear improvements across the agency including increased service efficiencies, transparency and benchmarking. Mr Sellers has achieved a cultural shift in his organisation which has propelled them forward in achieving organisational goals. Jamie MacKenzie joined VenuesWest as the Venue Operations Coordinator located at Champion Lakes Regatta Centre in July 2012. Jamie was the first VenuesWest appointed officer to be based at the venue. During his first six months, Jamie completed a review of staffing requirements and introduced significant improvements, including a new fees and charges structure, and negotiated the introduction of these charges with major venue stakeholders. Jamie also managed the transition and exiting of Armadale Redevelopment Authority staff. Mr MacKenzie has demonstrated emerging leadership qualities in successfully navigating the transition of Champion Lakes Regatta Centre from Armadale Redevelopment Authority to VenuesWest, both as a venue and in the organisational culture and structure. He has implemented service improvements and ensured organisational objectives are being met through all activities. His response to future direction shows his quest for knowledge and commitment to improving. Rod Hughes has been the General Manager of the Swan River Trust since 2003. He has been nominated to recognise his exemplary leadership skills, river management vision and progressive corporate ideology. Since joining the Trust Rod has fostered a strong sense of collaboration across local government, government agencies, community NRM groups and industry to help maximise outcomes for Western Australia’s iconic Swan and Canning rivers. Mr Hughes's application demonstrates him as an influential leader with a passion for what he does and strong commitment to maintaining standards of work, ethics and accountability. His ethos permeates throughout his organisation and has created a positive and productive organisational culture. His public administration skills ensures that Government policy and the organisations strategic direction are effectively translated through to daily operation. Mr Hughes led the process in constructing a new Act to guide the management of the Swan and Canning Rivers and been involved in reviews which has resulted in improved service delivery. His encouraging of triple bottom line reporting supports his high level of integrity and accountability. His support and fostering of other public sector professionals is somewhat holistic and keeps his finger on the pulse of opportunity within the sector to actively encourage growth and progress of staff. Ruth Charles joined the Department of Housing in May 2010. Over the past three and a half years she has been instrumental in the development and implementation of the Asset Transfer Project (ATP) and the East Kimberley Development Package Transitional Housing Program (EKDP Program). Currently Ruth is the Project Manager of the ATP, where she manages a project team of 10 staff. In this role she manages the ATP, EKDP Program and several smaller sub-projects which facilitate the delivery of the ATP. Mrs Charles has clearly demonstrated excellence in leadership of her team, division and organisation. She has successfully delivered on projects outcomes through good leadership and use of best practice methodologies, advancing excellence in the public sector by providing significant social and economic benefits. WINNER: Irina Cattalini, Western Australian Council of Social Service Inc.
Irina, as the Chief Executive Officer manages the daily operations of WACOSS on behalf of the Board. Irina has been instrumental in applying best practice advocacy models in her dealings with the WA Government. Irina’s approach to advocacy has been characterised by a more moderate and evidence based model where overwhelming evidence is the underpinning of good relationships with Government. This has meant that WACOSS is now often brought into the issues early, where maximum influence can be made in the development of good Government policies. Her active participation in the WA Government’s ‘Partnership Forum’ where the Sector and Government work more collaboratively towards commons goals is a good example of this approach and the benefits that it brings. Dr Silcox’s career spans over 40 years in the private sector, State and Local Government. Since March 2008 he has held the position of Chief Executive Officer at the City of Melville. During this time Dr Silcox’s leadership has been instrumental in the development of strong vision and direction for the City and this has been translated through a collaborative and inclusive Strategic and Business planning process. Dr Silcox is an advocate of local government delivering high levels of Customer Service and was instrumental in the City implementing a “one stop shop” customer service centre and obtaining accreditation to the International Customer Service Standards. The City has been recognised as the leading Local Government in Australia in Customer Service through the attainment of the Customer Service Institute of Australia (CSIA) National Award for Local Government in 2011. Lorenz (Larry) Schmidt-Simon, ICT Operations Manager at the Department of Agriculture and Food, Western Australia (DAFWA) successfully implemented a $3.6 million upgrade of DAFWA’s IT infrastructure with the results significantly exceeding expectations. Backed by senior management and supported by a dedicated team, he was able to get the best result and value for money for DAFWA, delivering some of the most advanced IT infrastructure in the WA public sector. Anne-Marie Brits works closely with transport operators, transport users and government agencies to develop and implement freight transport policies to improve operational efficiency and effectiveness. Anne-Marie’s experience illustrate the highest quality of policy practice in response to transport issues which are strategically important, politically sensitive, technically challenging and require careful collaboration and negotiation. The policy measures which Anne-Marie has developed and led are essential for the freight transport industry and valuable for the State’s economic efficiency and development for the benefit of all Western Australians. Karl was appointed Synergy’s General Manager Business Services and its Chief Financial Officer in August 2011. Karl was previously Chief Executive Officer of the Electricity Holding Company in Oman for three years. He has held several Chief Financial Officer positions, board directorships and senior managerial positions over the last 15 years and has extensive executive management experience in the Energy and Telecommunication industries in Australia and overseas. Karl advocates a holistic and balanced approach to work and to life, with a focus on clarity over clutter, and effective communication and collaboration. He is highly regarded for his problem solving expertise, his innovative and strategic thinking, his leadership and his humanistic management style. Karl was awarded the W.S. Lonnie Chief Financial Officer of 2013. Karl is currently Synergy’s Chief Financial Officer after a long career in public and private organisations, both in Australia and overseas. He is currently working in a difficult environment for electricity producers so his focus has been on efficiency – cutting costs and maximizing revenue. 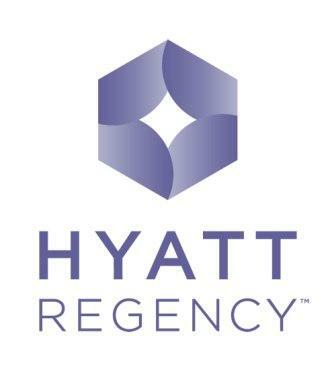 Synergy was awarded a Best Practice result by the Auditor General in financial reporting. The Board and Executive are now better informed by a new range of business performance reports. He has established effective partnerships with a range of external agencies and effective support for the Minister. Karl has introduced new systems and processes (e.g. activity-based costing). An annual survey has consistently demonstrated a high level of morale and engagement, reflecting Karl’s effective leadership. He has introduced a cloud solution for network billing validation which has halved processing time. In 2010 Centrecare Incorporated assumed the responsibility for the development and delivery of the community awareness initiatives for suicide prevention as set out by the Western Australian Suicide Prevention Strategy 2009 – 2013. The scope of implementing such a new, diverse and complex initiative required the ongoing development of strategies and procedures to deal with the ever changing nature and growth of this community development approach. Through the Agency stream of the WA Suicide Prevention Strategy, Centrecare staff was tasked with engaging workplaces that had never before been approached to promote mental health and wellbeing as part of their commitment to employees. The East Kimberley Development Package (EKDP) Transitional Housing Program, developed in 2012 in consultation with The Wunan Foundation (Wunan), provides stable, affordable housing to motivated Aboriginal people to help develop independence and take a significant step towards creating personal wealth and achieving home ownership. Program participants must be engaged in employment or training, ensure children attend school regularly and participate in the associated support program. Across the State, Aboriginal student attendance rates are 77% and 68% for the Kimberley Region. Children participating in the Program have an average of 90% attendance since commencement. The labour force participation rate for Aboriginal people in Western Australia is approximately 51%. For the current reporting period, 100% of the participants are employed. To date, three participants have home loans approved with another six in progress. Quarterly reporting indicates that participants are engaging in the support services and the Program is progressing successfully. The Funding and Contracting Services (FaCS) Directorate was created on 1 July 2011, and was aligned into the Government Procurement Directorate, Department of Finance. FaCS supports both the public and NFP sectors by fundamentally changing the way that community services are procured. FaCS has streamlined and standardised procurement processes and implemented measures to increase compliance and capability within Public Authorities, showing an active use of innovative best practice in both sectors and achieving positive outcomes. Project Robin Hood, piloted a ‘participatory budgeting’ model where decision making authority and responsibility was handed directly back to the community. The process to achieve this was led by a local group of under 25 year olds who participate as part of the Youth Advisory Committee. Half a million dollars worth of applications, 50 + projects, 1379 voters, and 674 comments later the community selected 12 projects to spend the $100,000 on. Cheques were written and handed directly to the community members to make the projects happen. The back story of getting an organisation on board to do this is as fascinating as the myriad of unintentional outcomes achieved that united neighbourhood communities, businesses and individuals and empowered them to make things happen. The Robin Hood project is very innovative, well planned and responsive to community need. The way in which the Council responded and worked with its community in this project to do small projects that are wanted and needed is something that other publicly funded organisations could successfully model. The Lifewise series is a suite of four cutting edge educational resources created by the City of Melville to assist young people navigate the challenges of adolescence. The project aims to build resilience and impart a ‘wisdom of hindsight’ to avert some of the devastating consequences that result from young people making the wrong decisions in alcohol and drug use, suicide and social behaviour. The resources were developed in consultation with young people and feature typical adolescent challenges including bullying, relationships, self esteem, drug and alcohol consumption. Through the stories, young people learn about how choices and poor decision making can impact on their lives and those of others. The Council has done a superb job in creating resources for young people about important health issues, but communicating these in a way that ‘speaks’ to them in their own language. The process has been highly collaborative and created considerable interest around the country. This successful project is highly innovative, has been recognized in a number of awards, and is being modelled by groups around Australia. For photos from the 2014 Achievement Awards, please click here.